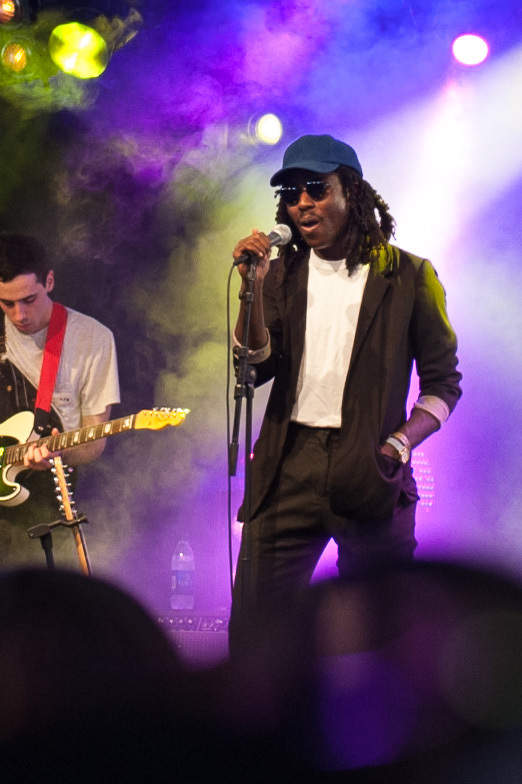 Since Devonté Hynes discussed the subject matter of his next album as Blood Orange in an interview a few months ago, little has been said of the project. Today – though we're still, by Hynes' own admission, no closer to that fourth LP – we do have some new Blood Orange music, following Hynes' recent collab with Girlpool. Released in honour of US Black History Month, which takes place in February (as opposed to October in the UK), "Christopher & 6th" and "June 12th" are both new tracks uploaded to the Blood Orange Soundcloud page, and each speaks to a little of what Blood Orange is known for. "Christopher & 6th" features beautiful vocals over slow, minimal piano, while "June 12th" utilises spoken word (which was put to such fantastic, blistering use on Freetown Sound) exploring the many facets of the black experience. TWO NEW SONGS. Not from the next album.